You may have some questions about coaching if you haven’t ever heard of coaching before or if you’ve never personally worked with a coach. Here are a few commonly asked questions about coaching and the answers to help you figure out if coaching with Pushy Prophet Girl Ministries would work for you! Coaching, as outlined here, is designed to bring you up to your full potential while improving your self-awareness and general outlook on life! How is coaching different from counseling/therapy, consulting, mentoring, etc.? Therapy/counseling focuses on healing from pain, dysfunction, and conflicts that usually arise from your past and are currently obstructing healthy living in present. Coaching, however, is future-focused. Coaching clients may experience positive feelings or emotions and overcome past issues as part of coaching, but the primary focus is on creating action plans to achieve your goals in your professional or personal life. Coaching is about action, accountability, and follow through. Consulting is used when expertise in a certain field or area is needed and guided solutions are desired. Coaching, however, assumes that the you are the expert in your own life, and you will generate the necessary solutions, with the coach providing support through discovery-based approaches (questions, homework, etc.). Mentoring is provided by someone who has wisdom and experience in a certain area. Mentoring may include advising, counseling, and coaching–in fact, Pushy Prophet Girl Ministries does provide some mentoring along with coaching. However, the coaching process does not include advising or counseling because the objective is that you, the client, will come to your own conclusions. What are some typical reasons I may want to work with Michelle through Pushy Prophet Girl Ministries coaching? Clarity in your calling, like working with youth–God has asked you to do something, but what does that mean or look like and what is He saying exactly? Coaching typically begins with a 30-minute intensive, a free face-to-face meeting or teleconference/Skype call to determine if we are compatible and if your goals are within the context of my specialty. Then each session is delivered either via teleconference call/Skype or in person (face-to-face). Sessions are for an established length of time and may include work outside of the call (homework, assignments, actions to support the achievement of your personally prioritized goals). Coaching may also include assessments such as DISC or spiritual gifts, concepts/models/principles drawn from the behavioral sciences, and Christian traditions, as I am a Christian coach. What are the coach and client each responsible for within the coaching relationship? **From the International Coaching Federation website, http://www.coachfederation.org. What will Pushy Prophet Girl Ministries coaching require from me as a client? COURAGE to reach for MORE than ever before and to scrutinize yourself fearlessly! 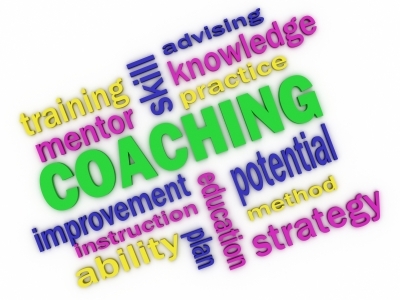 How will I know if coaching was successful? You will know because you will know yourself better, and most importantly, you will have achieved your goals! Now that your questions have been answered, are you ready to check out my life coaching packages and/or leadership coaching packages?